Is General Electric an American company? 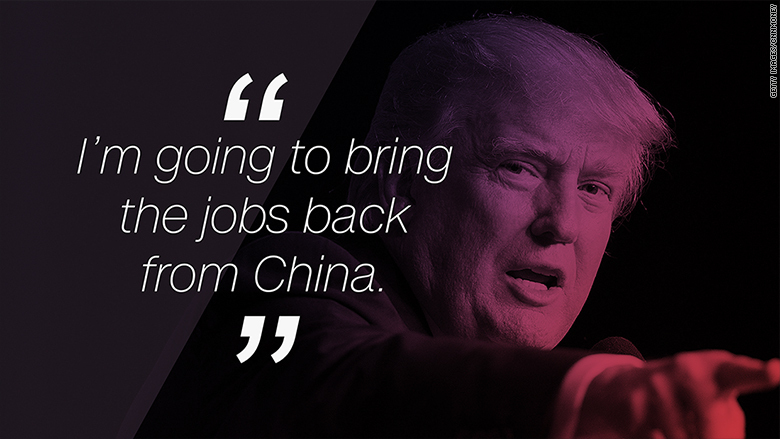 Donald Trump says that he'll "bring the jobs back" from countries like China and Mexico. Bernie Sanders makes a similar, bold claim too. It's possible, but it comes with a big downside: "Consumers would definitely face higher costs," says Bill Watkins, an economist at California Lutheran University. Low-income Americans would take the biggest hit because they spend a high share of their income on clothes, shoes and toys -- things that rely mostly on cheap labor to make. "It's the lower and middle class people who will face the higher costs that are associated with trade restrictions," says Gus Faucher, senior economist at PNC Financial. Here's how the candidates could bring jobs back to the U.S. and the risks that they run. The idea: Trump has said he would threaten a range of high taxes -- as much as 40% -- on imports from China and Mexico. That would make cars and clothes made overseas more expensive, and less attractive, for Americans. The hope is that costs increase so much that it makes more sense to build them in America. Risk and costs: There's no guarantee that slapping a tax on Chinese or Mexican products would make companies bring jobs back. Experts say companies will likely move jobs to the next country with the lowest labor costs like Vietnam. "The only way to guarantee production comes back to the U.S. is if it imposes tariffs on every other country and that's a trade war," says Paul Ashworth, an economist at Capital Economics. Trade wars are expensive. 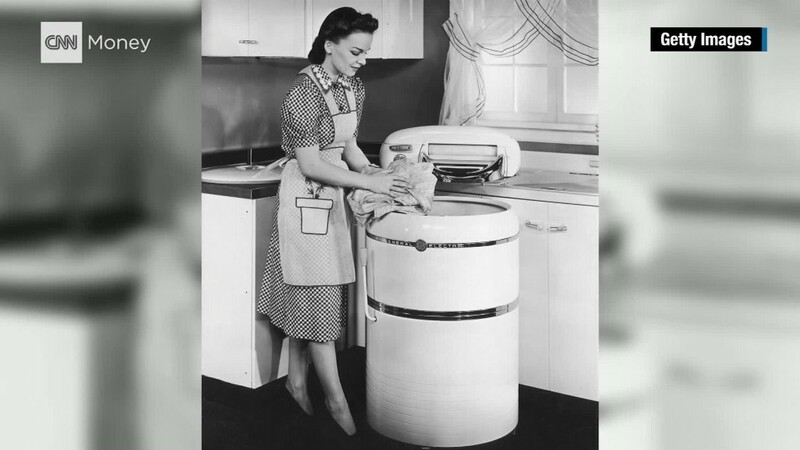 The United States raised tariffs in the early 1930s on European countries to protect U.S. jobs. Then Europe did the same to America. Global trade plummeted and tariffs worsened the Great Depression. The idea: Trump or Sanders could pursue policies that make American workers more productive. That is, Americans would need to produce more cars per hour or t-shirts per hour than they already do. That would give employers more bang for their buck to justify moving jobs back to the United States. Risk and costs: Making workers more productive requires major investments in equipment, job training programs and education. Paying for those investments is costly and could mean higher taxes for Americans. It's no quick fix -- improving worker productivity can take several years. This strategy holds major long-term benefits for American workers, experts say, but political patience could chip away at it. The idea: Many, including Trump, have long claimed that China keeps its currency extra cheap so that its exports look more attractive to international buyers. It also makes U.S. exports more expensive for Chinese buyers. Risks and costs: Striking a currency deal with China may have unintended consequences. Let's say China let's its currency float freely like the U.S. dollar. China's currency could actually go down - that's what happened when it last loosened its grip. That would make it even more expensive for American companies to export things to other countries. When American exports decline, American workers tend to lose their jobs. Between October and February, U.S. manufacturing was in a recession and employers slashed thousands of jobs. "This will reduce our exports and thus cost jobs in other sectors," says Alan Deardorff, an economist at the University of Michigan. "Bringing back the jobs we've 'lost' will cost us many of the jobs we've gained in other sectors." The idea: A quick fix that would compensate firms for taking on higher labor costs and bringing jobs back. Risks and costs: Paying Corporate America isn't politically popular and would likely require Americans to pay more up front. "Taxes would be needed to pay for them," says Deardorff.